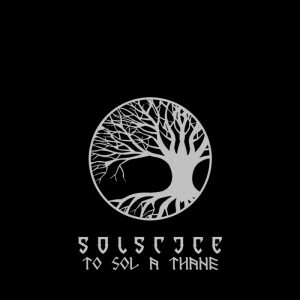 Solstice is far from an ordinary band and the material presented here is nothing short of extraordinary. As a humble demo, it was intended as a portal to the next full-length album. A moment captured in time to reflect upon the merits of the evolving songs and to inform the final direction they should take on the road ahead. That process, that fine tuning, is a testimony to hard graft and underlines a search for perfection. The results, though initially intended for private consumption alone, speak volumes. Very few demos reach this calibre. Hell, very few albums attain such heights and “To Sol A Thane” easily bettered the vast majority of the competition in the past twelve months. Make that twenty-four months. For me, it may have even eclipsed “Death’s Crown is Victory” MLP. No mean feat. What fool believes that all bands must decline with passing years? Ostensibly, there are three new offerings if, that is, For All Days…” “…And For None” are two halves of the same whole broken by vinyl parameters alone. The title track comes first. Melody. Crunch. Power. Majesty. It’s all here. The band transcends convention delivering ambitious, considered and epic song writing. Kearns’ voice soars. The guitars spiral. The drums gallop and roll. Then the aforementioned duo paints a different picture, a fitting contrast, like “Blackthorne” of old, yet with a melancholic character all of its own. Kearns shines in the moonlight on a desolate shore. Last of all, with thudding echoes of “Cimmerian Codex” prior to the gallop proper of “White Horse Hill” this hymn unfolds with aplomb. Its course tempered by the traits of either predecessor. But stirring nonetheless. The simple chorus and leads momentous.